Made in England. Brand new and first quality, dishwasher and microwave safe. 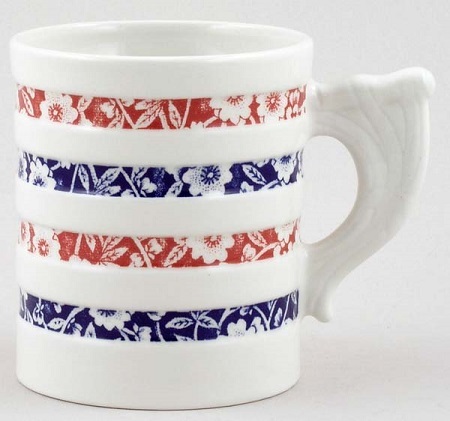 Burleigh's traditional banded body shape of mug with their unique union flag handle hand decorated with blue and red stripes inspired by their Calico design..